Extracts from reviews of productions of Charles Way's plays. For some productions, a fuller version is provided on a separate page. Charles Way’s ‘Jack and Phil, Slayers of Giants INC’ received a great February 2016 first production in the US at Imagination Stage, directed by Janet Stanford. The play is suitable for family and school audiences. Full reviews of this production are on this separate reviews page. Some reviews of the hugely successful run of Way's adapation for the Library Theatre at Murrays Mills in 2012. ‘Charles Way’s new adaptation uses no narration - it is so refreshing to see a Dicken’s adaptation that isn’t like having sections of the book read to you…’ The British Theatre Guide. Review of the 6-week run at the Lowry Manchester. Wanted! 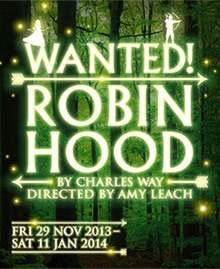 Robin Hood was the last Christmas show at the Library Theatre before it became the new Theatre HOME. 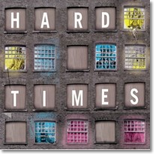 Extracts from reviews of the production by Cahoots NI directed by Paul Boscoe McEneany, which opened in February 2014 in Armagh and then went on tour. ‘…Levin’s experience has now been expanded and transformed into an inspirational piece of theatre by two gifted professionals who understand instinctively how to capture, hold and ignite youthful imaginations. Cahoots NI artistic director Paul Bosco McEneaney came across the story of Levin/Nivelli in one of the mountain of magic books that he routinely devours as part of his daily fare. He showed it to the award-winning writer Charles Way, whose play A Spell of Cold Weather was produced by Cahoots in the spring of 2012. The two have since developed a close mutual simpatico, here manifesting itself in a skilfully structured and layered script, which will appeal to audiences of all ages. We thought we had seen something approaching theatrical perfection last year in the shape of Cahoots NI’s Egg. Then came Death, Duck and the Tulip. Now we have Nivelli’s War. This is world class work being produced right here in Belfast.